He may have come in dead last, but he did it in style. 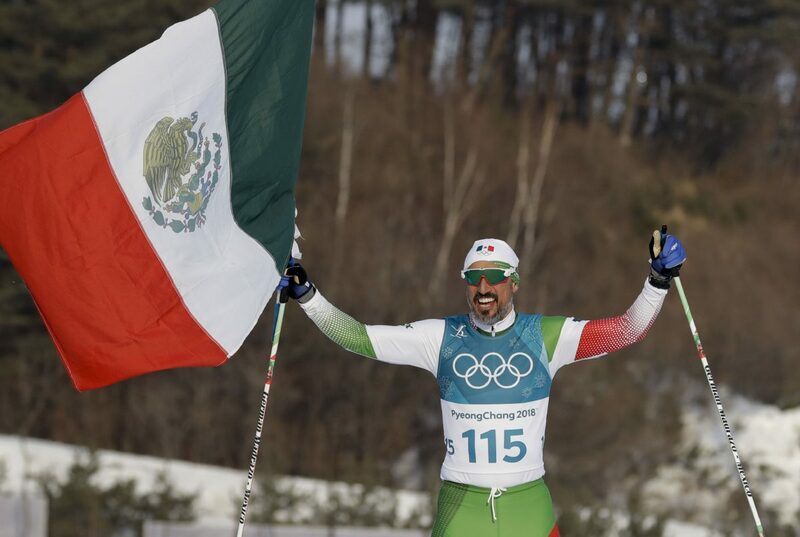 As McAllen resident Gérman Madrazo pushed toward the finish line of the men’s 15-kilometer cross-country skiing race at the 2018 Winter Olympics, he pulled off to the side of the course and was handed a Mexican flag. Waiting for him with cheers and open arms were a few other competitors who brought up the rear, including racers representing Colombia, Morocco, Portugal and Tonga. 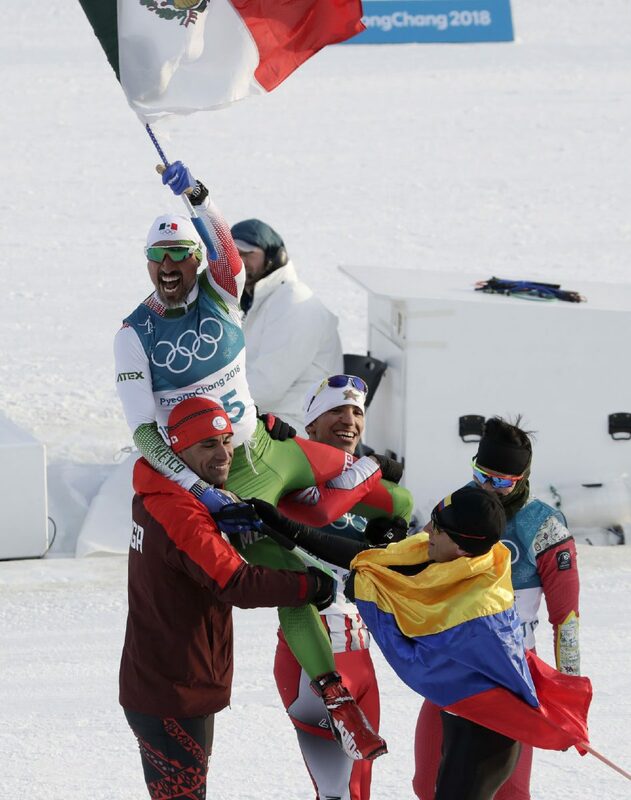 When Madrazo finally reached the finish line, nearly a half hour after the first-place finisher had already completed the race, his four fellow athletes helped him remove his equipment before hoisting the Olympian who had only taken up the sport last year up onto their shoulders. Oddly enough, as Madrazo enjoys the celebrity that his now viral moment of celebration is bringing him, another internet star was right there with him. 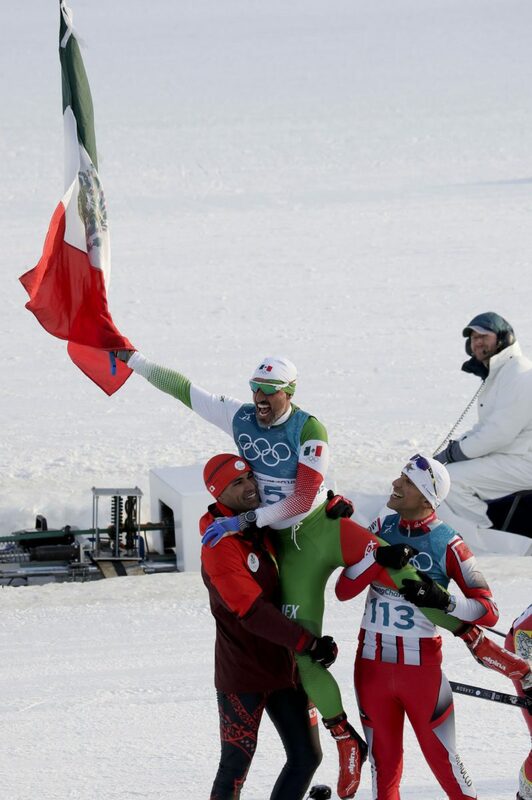 Among the group that carried the Mexican skier was none other than Tonga athlete Pita Taufatofua, best known for his shirtless, oiled-up appearances as his country’s flag bearer. 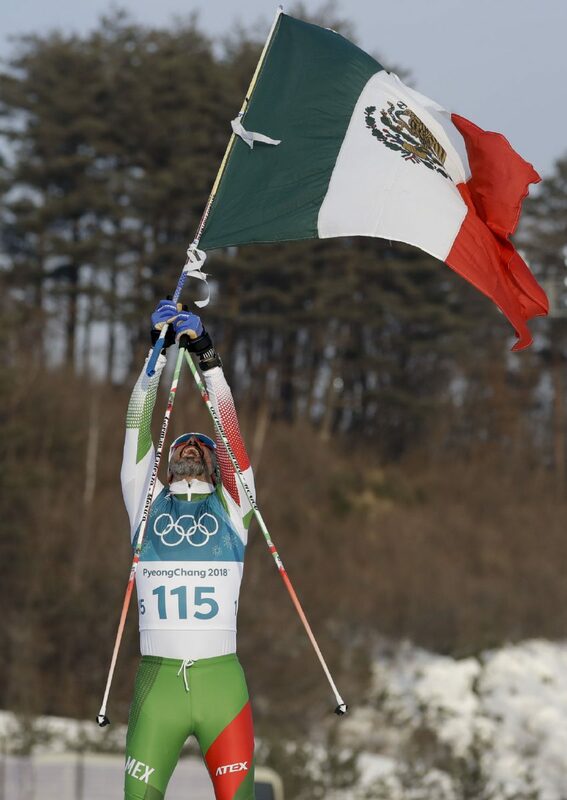 Madrazo, who carried the Mexican flag in the opening ceremony, was moved by the show of support. Taufatofua, Madrazo and several others literally went around the world to qualify for the Winter Games, forging tight friendships along the way in pursuit of a common goal. They tried cross-country qualifying races in Armenia, Poland, Turkey and Austria. And failed. Finally, they traveled to Iceland and made it in the last qualifying race before the Pyeongchang Games, spending nearly every last penny they had to reach their Olympic dream. Madrazo had to call home to get a flight back from Iceland, having only bought a one-way ticket because that was all he could afford. The 15-kilometer freestyle is the United Nations of cross-country skiing races. There was Kequyen Lam of Portugal, Sebastian Uprimny of Colombia and Klaus Jungbluth Rodriguez of Ecuador among the late finishers after most of the crowd had left. Syed Human of Pakistan and Samir Azzimani of Morocco were there, too. None of them are elite cross-country skiers, but they were all eager to represent their country at the Pyeongchang Games. 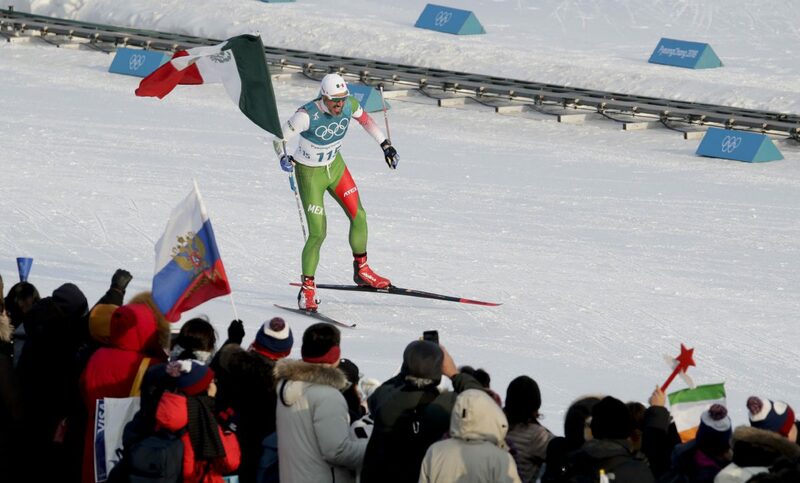 The work those men put in to qualify for the Olympics was not lost on gold medalist Dario Cologna, a three-peat gold medalist in the event. The Associated Press and Tribune News Service contributed to this report.